As thousands of race fans are expected to attend Opening Day at Del Mar Race Track this Thursday, July 17, some of San Diego's hottest spots are gearing up and offering amazing specials and parties to celebrate. SanDiegoVille has a few suggestions on top destinations for Opening Day, so saddle up and trot to one of these San Diego hotspots! Chef Matt Gordon's restaurant Sea & Smoke in Del Mar, which is just steps from the track, will be hosting an opening day pre and post-party benefiting The Boys and Girls Club! The restaurant opens at 8:30am daily with an unbeatable brunch, the ideal way to fuel up for the mayhem that is opening day. Following the betting and boozing, Sea & Smoke will host an after party with the local band Red Fox Tails and provide a comped spread of bites, plus party-priced cocktails to keep the day going. Post race track event is $30 and includes comped bites from Chef Chef Matt Gordon and music from Red Foxtail Band. Other specials include Teeling Whiskey Shots for $5, Derby Mules for $7 and Peach Smash Cocktails for $9 all day, with $1 from each cocktail benefitting the Boys and Girls Club. Enjoy the full menu in the dining room all day. 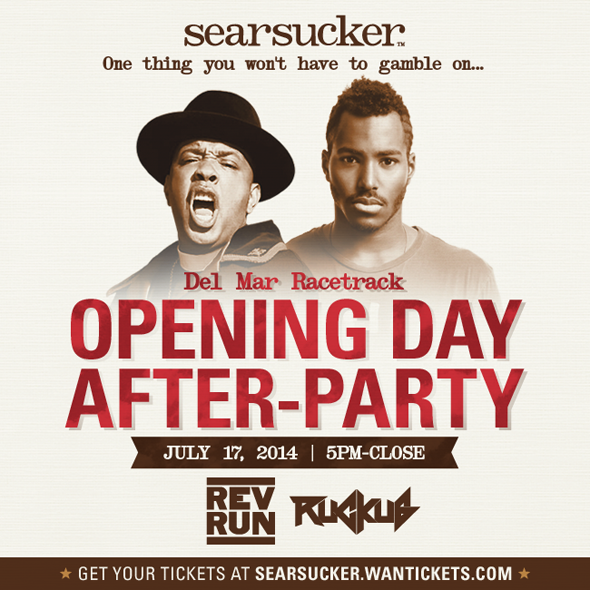 Celebrate Del Mar Race Track's Opening Day at Searsucker Del Mar on July 17. Whether you are betting on the horse races or just need an excuse to wear a big hat and dapper suit, Searsucker Del Mar’s Opening Day After Party will be everyone’s go-to spot. Beginning at 5pm, join hip hop legend and one of the founding members of the group Run D.M.C, REV RUN, as he takes it old school. A limited menu will also be available. Pre-sale tickets start at $45 and can be purchased at searsucker.wantickets.com. For table service, please contact Shane Brennan (858) 752-9470. 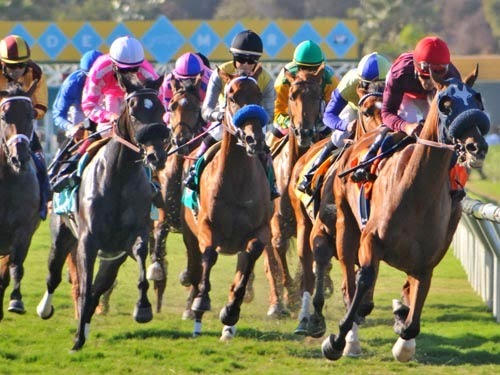 Rancho Bernardo Inn is offering a special Trifecta package for San Diego's favorite summer event - Opening Day at the races. With transportation to/from the track, guests can rest easy at one of North County's most tranquil escapes. Also, when guests check in wearing their best "opening day" hat, they'll receive a special $25 resort credit. The package also includes dinner for two at the acclaimed on-property restaurant, AVANT, along with two signature "winner's circle" signature cocktails. 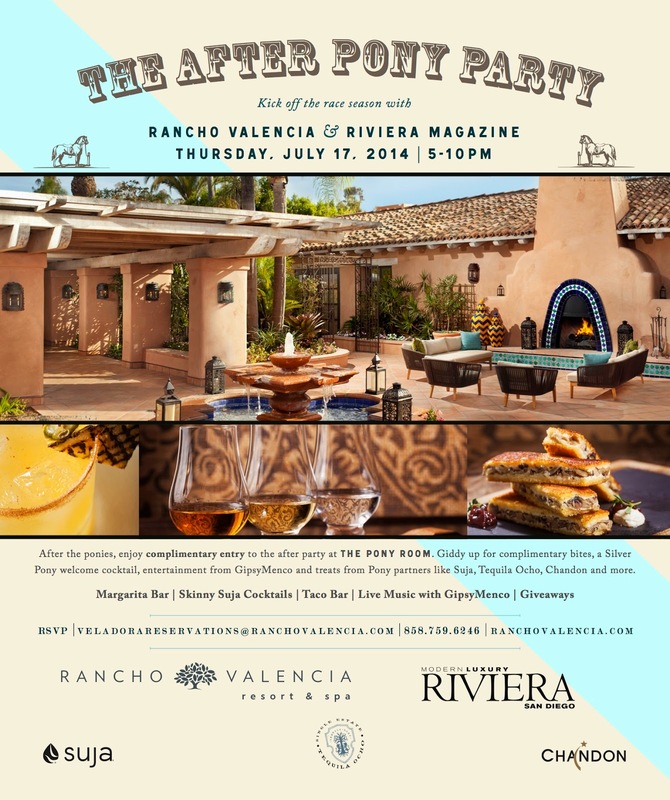 Giddy Up to Rancho Valencia Resort & Spa as they host their official Opening Day After Party with Riviera Magazine, called "The After Pony Party" on Thursday, July 17 from 5-10 pm. Guests can kick off the races and enjoy the resort's complimentary 25th anniversary cocktail, The Silver Pony, and signature bites along with Skinny Suja cocktails, live music from GipsyMenco, $6 Margarita Bar, $3 Taco Bar, and special giveaways. Entry is complimentary, but reservations are recommended and can be made by calling 858-759-6246. On opening day, Post Paddock at CUCINA enoteca is the place to see and be seen. The hot spot’s kickoff event features a special “Off to the Races” menu with brand new race-inspired punch cocktails, Grey Goose libations, and specialty priced CUCINA bites to get fans in true race-day spirit. There will be a DJ on the patio to keep the party going, and CUCINA enoteca is also accepting dinner reservations in its dining room for those looking for a more relaxed evening. The California-inspired Italian kitchen and wine shop's design pays homage to the local community’s rich equestrian history and vast polo fields with an “ode to the equestrian” theme visible along the staircase with hanging, hand-selected collectible horse figurines. Grab a seat at CUCINA's gorgeous upstairs garden patio or the popular downstairs communal area — the perfect pre or post race destination. When you place yourself at Spa Gregorie’s, it’s always a sure bet! Come prep and pamper yourself for the biggest social event of the year with all of your spa favorites. With three award-winning services, this customizable package is a tribute to race season comparable to hitting the trifecta! Available July 1 - August 31, 2014 for $199 (a $253 value), Spa Gregorie’s Trifecta Package includes one hour relaxing massage, one hour rejuvenating classic facial and choice of Women’s blow-dry/style, Men’s haircut, or Spa Signature manicure. Call 858-481-6672 to make your appointment or learn more.